Sandy Fewkes adopted a service dog after she unexpectedly lost her hearing. She says it changed her life for the better. Sandy Fewkes vividly remembers the day she started to lose her hearing. "You wake up one morning, you have ringing and buzzing in your ears and all of a sudden your hearing just disappears," she said. Fewkes has sudden onset adult hearing loss. She said it happens to one in 10,000 people. Losing the ability to hear made Fewkes feel isolated and anxious, she said. But she regained her confidence when a four-legged companion walked into her life — a service dog. 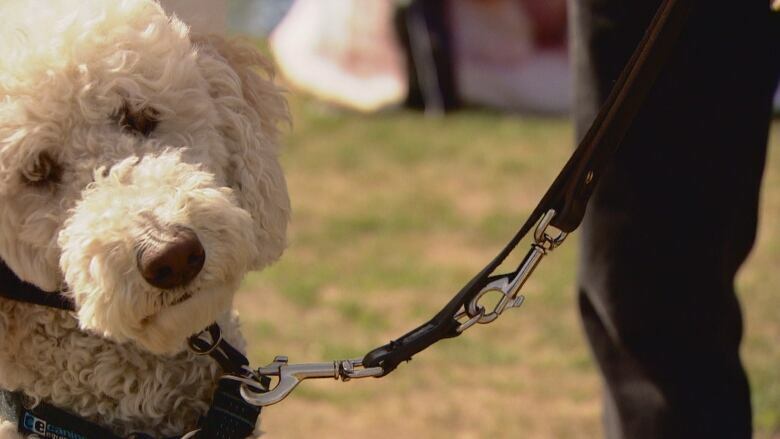 The South Edmonton Lions Club raised money for the breeding, training and placement of service dogs at a community dog walk in Edmonton's Terwillegar Park Sunday. Funds raised at more than 300 walks across the country help the Lions Foundation of Canada provide service dogs to those in need for free. Last year, the walks raised $1.5 million, said Lions Club member Hank Hoekstra. "Given that a dog costs over $25,000 to breed, train, place — all at no cost to the client — it's actually quite a significant help," he said, noting that the goal for the Edmonton event was to raise about $20,000. The Lions Foundation trains service dogs for seizure response, diabetic alert and hearing, vision, disability and autism assistance, Hoekstra said. 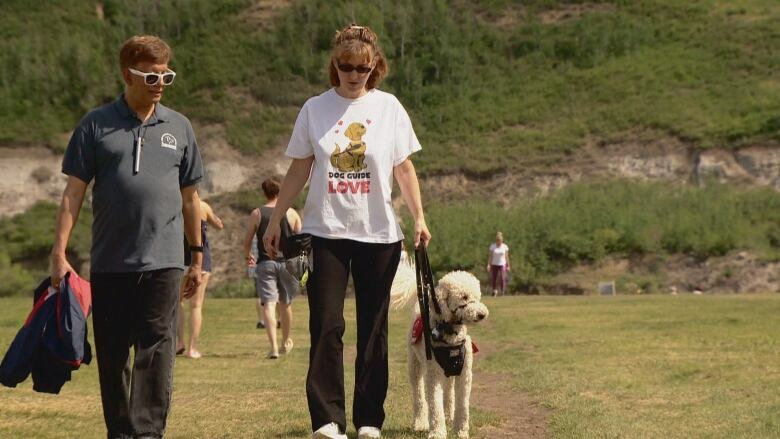 The foundation has about 70 service dogs in Alberta — 40 of which are trained for autism assistance. "That's really a [growing] industry, as people who have children with autism realize how beneficial these dogs are to their child's happiness and well-being, and their own peace of mind," Hoekstra said. Fewkes's apricot poodle, Caydi, helps her by alerting her of certain sounds. "She's my ears," Fewkes said. "She let's me know if the timer's going off on the stove. She lets me know if I've left the fridge open accidentally and it's beeping because I just don't hear that." People often have to wait a long time before adopting a service dog, Fewkes said. She brought Caydi home more than a year after her first service dog died. "After my first service dog passed away, it was so, so difficult," she said. "I went right back into anxiety and depression, afraid to go into public." "I don't think [life] would be nearly as full. I wouldn't be going out into public by myself. I would be so much more dependent on other people," Fewkes said.